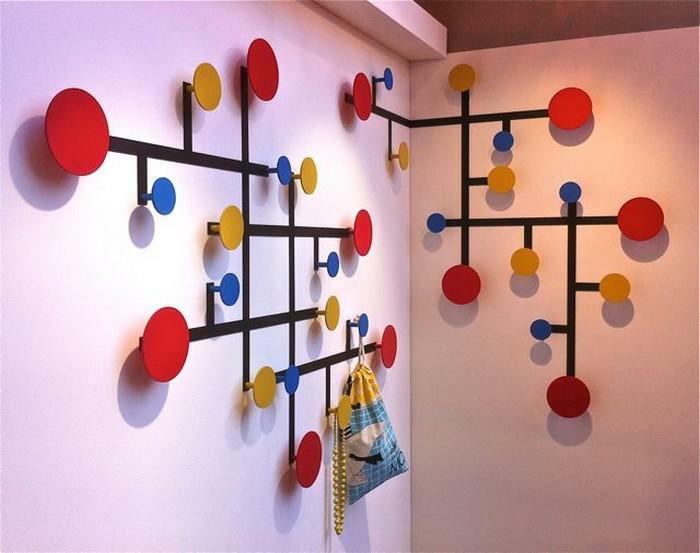 Piet/3 coat hook consists of three Piet coat Hooks. 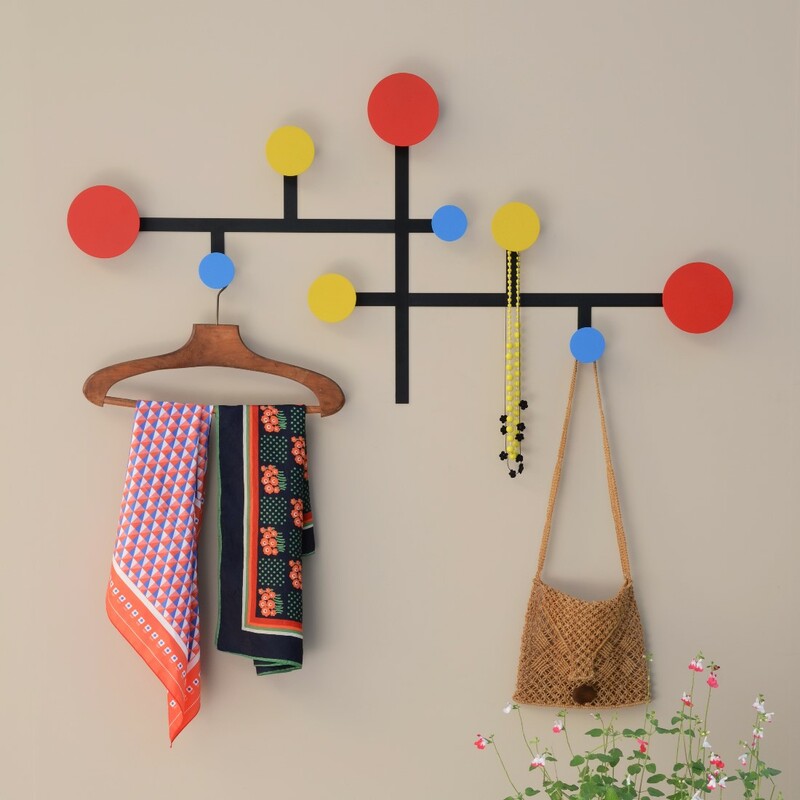 Inspired by the paintings of Piet Mondrian, Presse Citron bring us a unique take on the traditional coat hook called Piet. 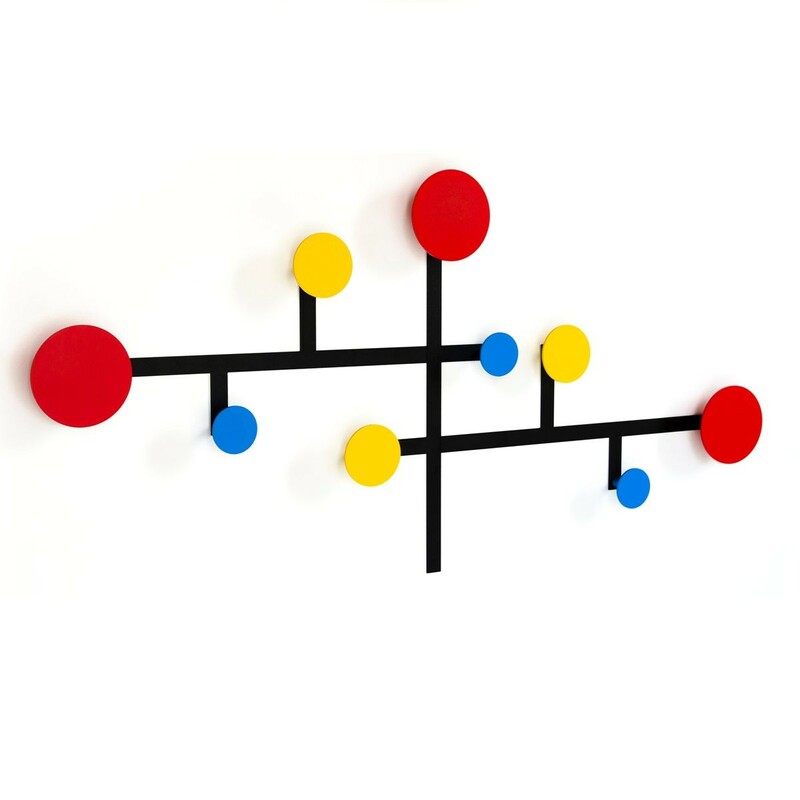 Much like Mondrian's artwork ‘Piet’ coat hook consists of grids of vertical and horizontal black lines with circles in the three primary colors. 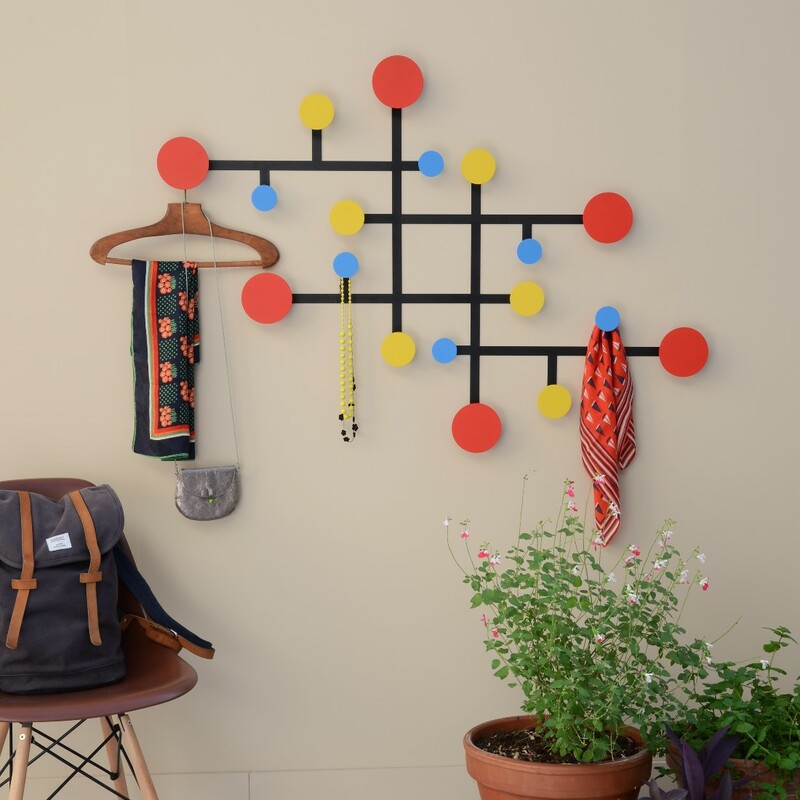 A stunning piece which can be added to and constructed in infinite ways, Piet coat hook looks beautiful in itself but also has a practical use as each of the circles can be used to hang coats or other objects. Each Piet coat hook component measures 50 cm x 25 cm x 4.5 cm deep and comes with three circles, one blue, one red and one yellow. 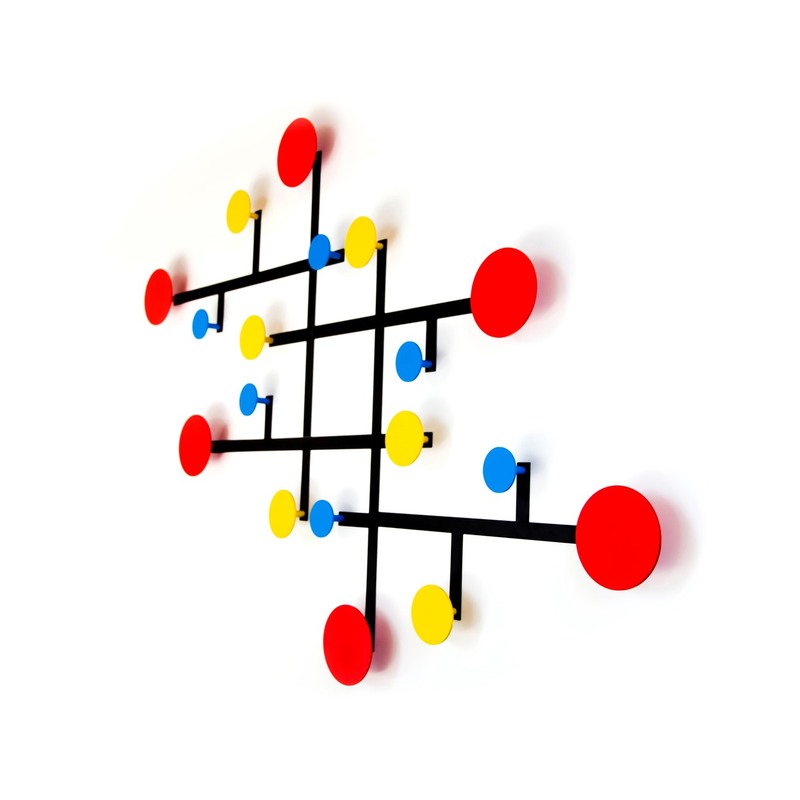 ‘Piet’ coat hook is constructed in powder coated steel. 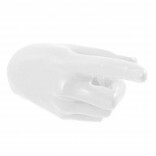 Dimensions: 1 piece 50 x 25 x 4,5 cm. Multicolored: black, red, mustard, blue.